A Tobermory for anyone with a sweet tooth! Three years of finishing in Pedro Ximenex casks have enriched the always reliable malt from the Isle of Mull with incredibly fruity notes. To achieve such a balance between thick Spanish wine and robust Scottish distillate we used second fill casks: we like a whisky with a sweet and fruity background, not to overpower the typical traits of the distillery. 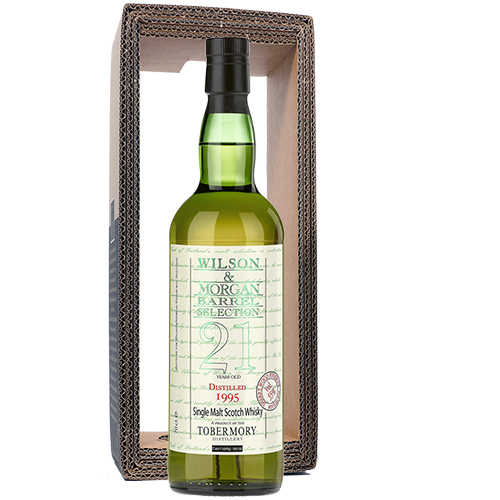 All the trademark aromas of Tobermory (the malty and farmy notes, the mineral touch and the waxiness) are indeed present, and it’s a particularly clean expression of this whisky except for a hint of smoke that obviously reminds of its brother Ledaig. On top of it, only a moderate winey influence, and a very juicy, intense, rich sweetness of raisins.